Bundesliga | RB Leipzig's Naby Keita: "Beating Bayern the goal!" RB Leipzig's Naby Keita: "Beating Bayern the goal!" 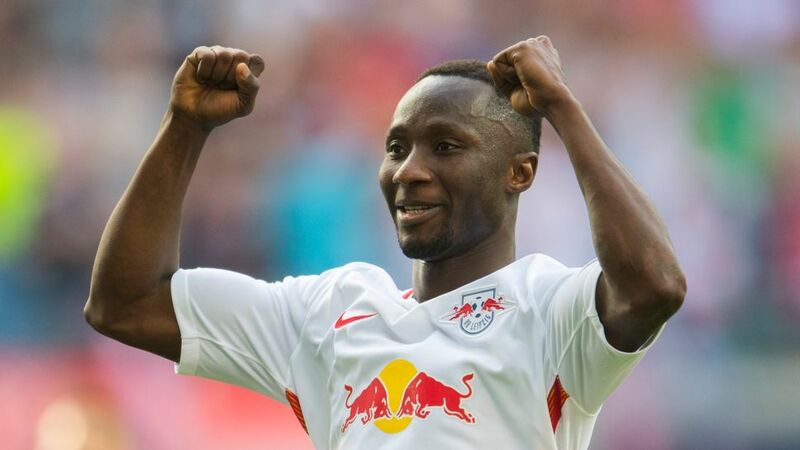 After an intense first half of the season, Naby Keita will spend the two-week break with his family in Leipzig. In an exclusive interview with bundesliga.com, the RB Leipzig midfielder speaks about how the campaign has gone so far, the development of the club and his future goals. bundesliga.com: How do you assess the first half of the season? Naby Keita: We had a couple of little injury problems but essentially we’re very satisfied with where we are in the table. Even in the more difficult moments we kept our cool. We remained positive and did very well. Since the start of the season we've always been in the top five, which also underlines our positive development. Although we know it will be anything but easy, we want to finish this season – if possible – by qualifying for European competition. We have real character and if we continue to work hard on our own game then I think we’re capable of doing that. bundesliga.com: Among Leipzig’s rivals this season are Borussia Dortmund, Schalke and Bayer Leverkusen. Which of these teams has most surprised you? Keita: Schalke are very consistent this season. They’re a team that is getting better but we’re also close to them. We won’t let up and will try everything to finish ahead of Schalke after 34 games. bundesliga.com: Are you feeling tired after so many games and the new strain of playing European matches in midweek? Keita: Of course, because playing every three days was a new experience for all of us. In the end we dealt well with the fixture list and this challenge. Now we will enjoy a well-deserved break and come back again to take on 2018.
bundesliga.com: Have Leipzig developed further in the past year? Keita: Definitely. We’ve become stronger and more mature. Last season we played in a completely carefree manner but this season hasn't always been easy with the extra burden of the Champions League. But that’s part of it and until now we’ve embraced everything superbly. We’re young, hungry and we want to continue to improve. bundesliga.com: Do you feel that your opponents are giving you more respect compared to last season? Keita: Yes, we’re being looked at differently. Now we’re no longer unknown or maybe underestimated. So in that way we have to give even more to beat our opponents. bundesliga.com: It seems that you and Kevin Kampl work well together. Is it easy to play with him? Keita: Yes, especially because of the fact we already played together with Salzburg. We knew each other already, which means that we immediately picked up where we left off with our understanding on the pitch. Kevin is also strong technically and a very intelligent player. bundesliga.com: Your first Bundesliga game of 2018 is the home match against Schalke on 13 January. Are you already looking forward to it? Keita: Yes, it will be a top game between two teams that want to play European football next season. We want to get our revenge after losing 2-0 at Schalke on the opening day. It’s always important to start with a win to build up your confidence. bundesliga.com: You have been sent off several times in the last few months. Do you feel you have matured and learned from your mistakes? Keita: I think so. And after each one of my red cards, I still felt that my teammates and coaches had faith in me, which meant that I was able to quickly re-establish myself. That support was very important for me. Having to leave the field early is a bad memory for every player each time that it happens. bundesliga.com: What was your best memory in 2017? Keita: My goal to make it 1-0 against Hamburg in September, when, after a quick free-kick I fired the ball into the net with a great shot. That was a great experience. bundesliga.com: And the most painful? Keita: My sending off against Bayern in the DFB Cup. I felt very good and was playing well too. That red card hurt me. Before I leave Leipzig [for Liverpool] next summer, I would really like to win against Bayern once. That’s my goal. It’s always nice to win against big teams.